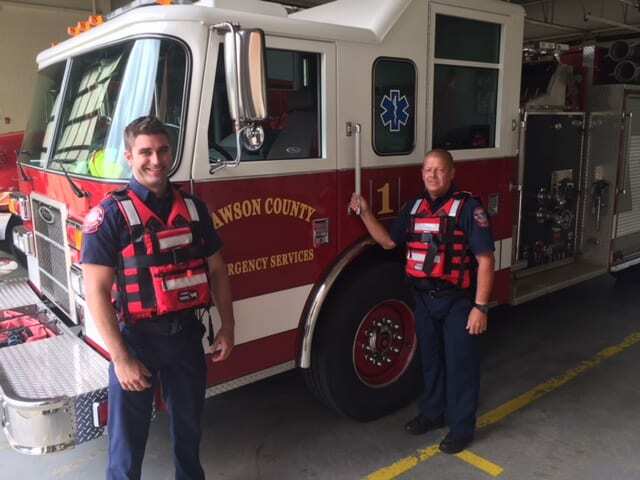 DAWSONVILLE, Ga. — Dawson County Fire & Emergency Services purchased and issued 26 new Type V Rescue Life Jackets. This new equipment will provide for the safety of First Responders operating in and around moving water. This is the first life vest purchase for Dawson County responders and it is a critical safety tool for personnel. In May, first responders had two separate water rescue calls of victims trapped in fast moving waters. In one rescue, first responders had to establish a “high line” rope system to safely get the victims to shore. At that time responders in Dawson County did not have the Type V life jackets needed to operate safely. Dawson County has over 60 shoreline miles on Lake Lanier, 5 rivers and numerous other creeks and ponds. This added tool to our Emergency Services Department is invaluable to ensure the safety of our responder’s and citizen’s. This purchase was made possible by funding allotted to us by our Dawson County Board of Commissioners.